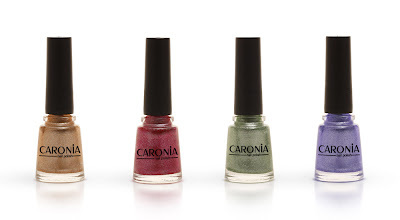 Caronia just sent me their latest collection for the upcoming holiday season. It boasts of wonderful metallic colors that are sure to be eaten raw by nailaholics and trendsetters. Caronia's Bright Nights Collection takes its cue for the latest trends in fashion. 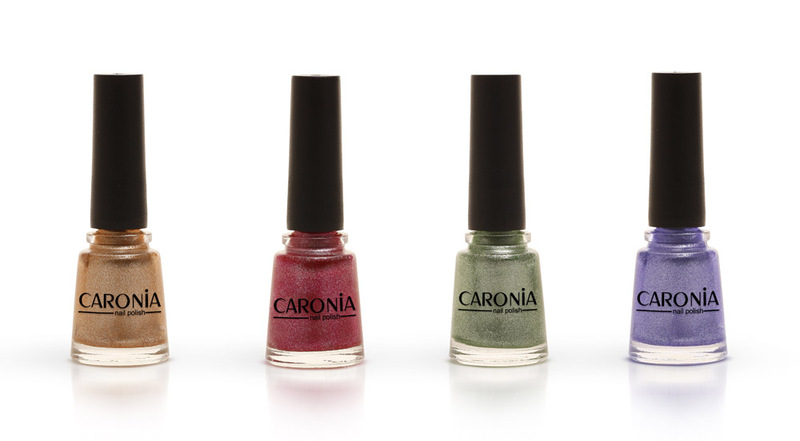 Metallics are quite the fad this season and Caronia saw to it that this collection will go with your fall/winter outfits. The colors are very festive just as what this holiday season is. My favorite so far is the Gold Rush (gold). You know I'm a sucker for anything gold and this one is quite unique from other Caronia gold polish I have. Besides, it's a safe color for work as it is subdued enough for daytime. Trance (purple) comes in second for because it makes my skin look fairer against. Stellar (red) doesn't take too much of an effort to love but I think you can save this one for the love month. Lounge (green) could be mistaken for silver which makes it a nice statement nail color when you want add a tad character to your nails. 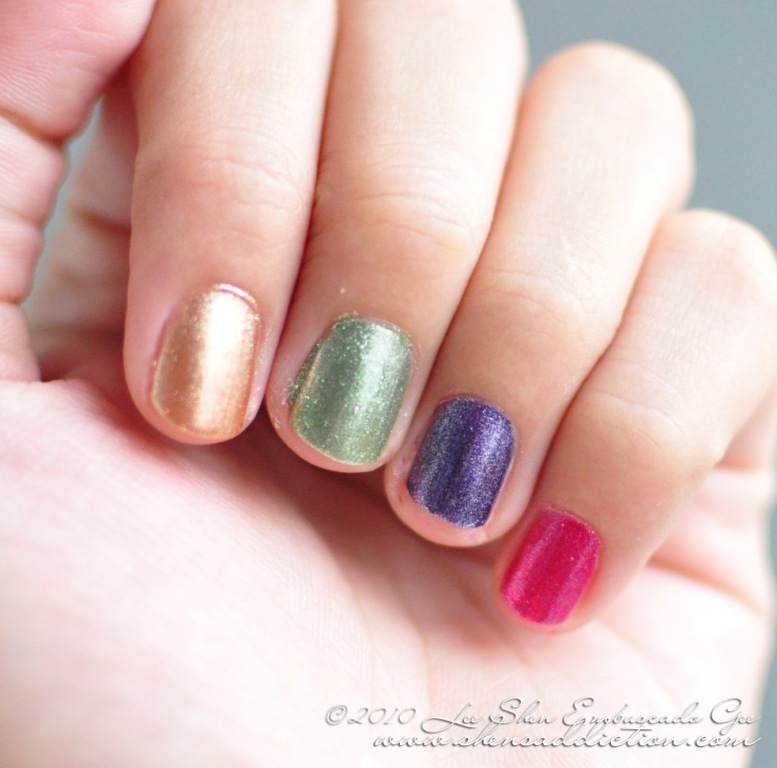 As for me who can't put one decent nail polish on one fingernail, i'll still be going ga-ga over the Caronia Bright Nights Collection. After all, a girl who just got her groove back needs a spanking bright nails to wave up in the air as she dance the night away. :) So, I'm taking these nail polishes with me at my favorite nail salon and let my nail tech paint my nails with Caronia's Bright Nights Collection. Excuse the rogue application. Have shaky hands. lol!! For a girl who just got her groove back, I definitely need a polish that'll make waving my hands up in the air a lot more fun. Hehehe! 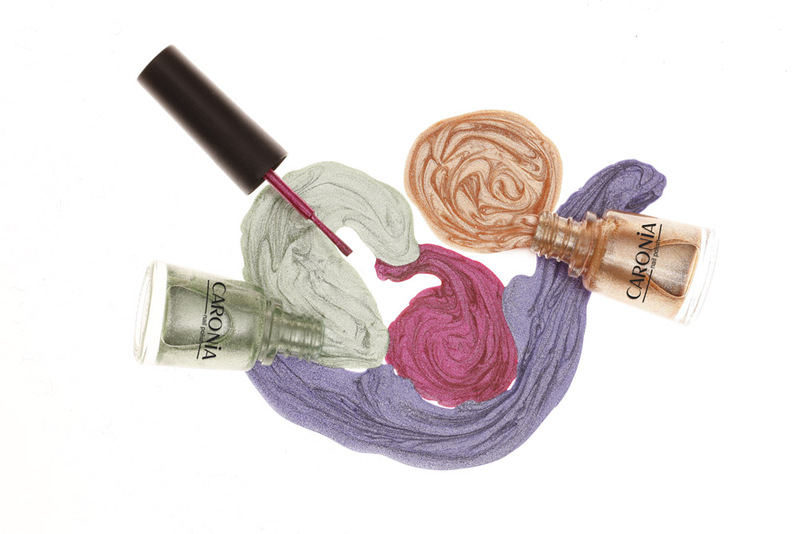 The Caronia Bright Nights Collection will be available this November 2010 for only Php31.75 for 8ml bottle. Product provided by official PR for blogging consideration. This is not a paid review/advertisement. Pretty! I love stellar and gold rush. ill go for lance!! wow they are beautiful! 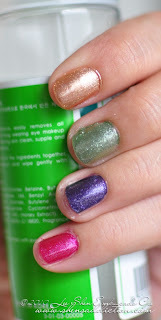 ill go check watson for that new polishes! definitely an addition to my nailart items. pretty colorss~ And I really like the lighting in your pics!